At the end of March, Denver is gearing up to experience drag in a brand new way, and it’s causing the rest of the nation to take notice. 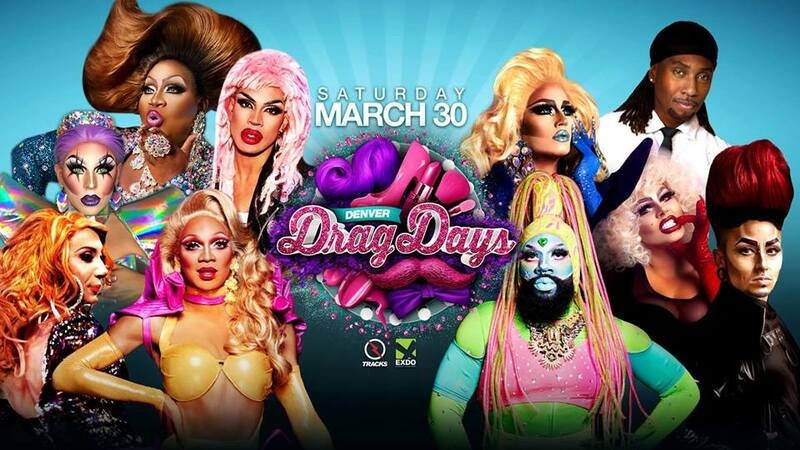 Denver Drag Days is a three-day extravaganza running from March 29-31 that is handcrafting an experience of staged performances, workshops, educational panels, and fabulous food and beverages. The three days will be hosted at Tracks Nightclub and are bringing in a long list of partners, presenters, and performers to ensure that the inaugural event is top-notch. Serving as an environment to celebrate the art and community of drag in an inclusive space, this event is the perfect place to take your drag to the next level. Unlike anything else in Denver, Drag Days is intended to meet drag performers where they are, providing discussions on topics like Getting Into the Scene, Drag as a Business, and a panel hosted by trans performers talking about accessibility in the industry. There are also a plethora of hands-on workshops to build the perfect look and performances throughout the day from queens, kings, nonbinary, and alt performers, showcasing the best of Denver’s scene. Friday night will kick off with Tracks’ Drag Nation, hosted by Drag Race’s Season 11 Yvie Oddly, with an abundance of marvelous queens putting out the most and giving life to this brand-new Den-venture. Activities on Saturday will hold the most bang for your buck with a jam-packed schedule of arts, entertainment, and community for all ages. Sunday will wrap with a massive drag brunch as Drag Days goes after the title of Guinness Book of World Records’ largest brunch party in history. Overall, while this event is expected to bring out the crowds, accessibility and inclusion is of the utmost importance to the organizers. In addition to most of the events being all ages, they are pushing ADA accessibility and offering a sign language interpreter for Sunday’s brunch. In making sure that no one feels restricted from attending, Drag Days are also open to feedback in order to ensure appropriate accommodations are made. “I hope that it helps put Denver on a map nationally and internationally,” said Jessica L’Whor. The well-known local queen is co-organizer, producer, co-host, and will be performing at Drag Days, and went on to say that this is a place for everyone to drop competitive attitudes, regardless of where they are from, and to be under one roof together as a community. Tickets are still available for purchase and can be snatched up at the Denver Drag Days website.